Hundred Years' War (1337-1453) - What is the longest war in history? By its very name, The Hundred Years' War sounds like the hands down winner. And while that may be true, it really depends on what constitutes the parameters of a single war. For example, the three Punic Wars were all fought between Rome and Carthage. Although counted as three wars, they could very easily be considered a single war with gaps between the fighting. By the same token, even The Hundred Years' War is often considered one part of a much longer conflict which really began with the invasion of England by William the Conqueror. However, with regard to how wars are currently defined, The Hundred Years' War is considered the longest in history. It was instigated by two events; the coronation of Edward III as King of England in 1327, and the death of Charles IV of France in 1328. Edward was the son of Queen Isabella who was French, and Charles died with no male heir. Charles and Isabella were brother and sister, making Edward the nephew of Charles, and thus his closest male relative. 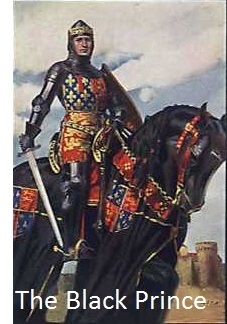 With no direct heir, Edward felt he was as legitimate a successor to Charles as anyone. But the man who claimed the throne was Philip VI, who was Charles' cousin (both were grandsons of King Philip III). Philip argued that Edward was not entitled to the French throne because Salic Law prevented males descended through the female line from ruling. Initially Edward accepted Philip's accession, but in 1334 Philip allied himself with King David II of Scotland. This enraged Edward as England and Scotland were old enemies, and so he decided to assert his claim on the French throne. War broke out in 1337. Of course, The Hundred Years' War was not a full century of continuous fighting. It is generally divided into three phases; the Edwardian War (1337-60), the Caroline War (1369-89) and the Lancastrian War (1415-1453). The first major conflict was a navel engagement in the English Channel known as the Battle of Sluys. The English wiped out the French fleet giving them mastery over the channel. This protected England from invasion and insured that the war would be fought almost entirely on French soil. After that, the two major battles of the first phase were the Battle of Crécy in 1346 and the Battle of Poitiers in 1356 (The second major battle named for the city of Poitiers, which is why the first one is often called the Battle of Tours), both won by the English thanks in large part to the leadership of Edward the Black Prince (son of King Edward III) and the English longbow. These victories led the King of France (now Philip's son, John II) to seek peace. The Treaty of Brétigny was signed in 1360, ending the first phase of The Hundred Years' War. It was very favorable to England which was allowed to keep the lands it had won up to that point.